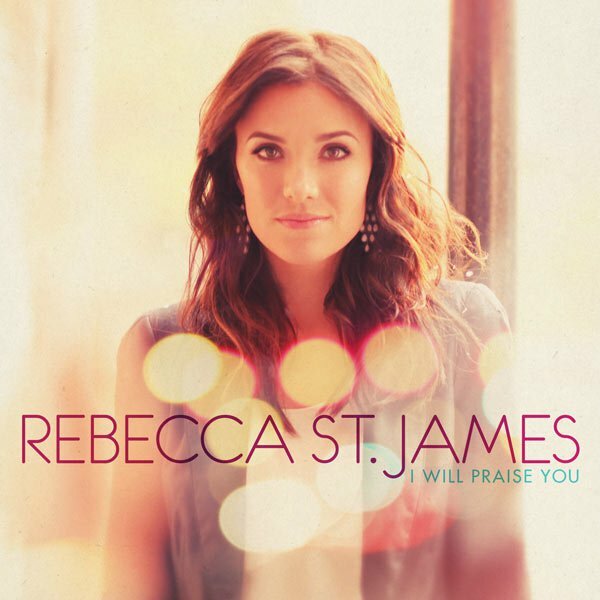 Rebecca St. James releases her ninth studio album 'I Will Praise You' today, 5th April 2011. The album, produced by Mark A Miller (Casting Crowns), is a new collection of worship songs that Rebecca calls her "most personal recording to date" and is available now from the US iTunes and UK iTunes stores. "'I Will Praise You' is the culmination of a powerful season of spiritual and personal renewal for Rebecca", explains Integrity Media. "'I Will Praise You' is a stunning re-introduction of Rebecca's signature approach to passionate lyrics and music dedicated to drawing listeners into God's presence." Rebecca is promoting the new album with a number of high profile media appearances in the US this week. Starting in New York with a guest appearance on Fox New Channel's Hannity tonight at 9pm Eastern Time, Rebecca will also be a guest tomorrow (6th) on Fox & Friends (6am Eastern) onset with hosts Gretchen Carlson, Steve Doocy, and Brian Milmeade to talk about the inspiration behind the new music as well as sharing with viewers the news on her upcoming April wedding. While in New York Rebecca will also be guesting with Sirius-XM Radio and a morning co-hosting (5th) on Star 99.1. CBN's flagship '700 Club' will host Rebecca for a live appearance to reach national viewers from their Virginia Beach studios on Thursday, 14th Apil.